Moving home in the South London area? House or Flat? Looking for Professional & Trustworthy Movers & Packers nearby? Every single residential move is unique and personal to you, no matter what your home relocation needs, Casey’s Removals experienced and trusted staff can easily provide for you. Our home moving service looks after each and every step – from detailed packing of your personal items to safe transportation on the day of your move, you can be certain that your personal belongings are in the absolute best of hands. • To safely transporting them to your brand new home ( utilizing complimentary goods-in-transit insurance coverage as standard). We have always emphasized to our customers just how essential it is for an estimator to pay a visit to your property so as to correctly check all your needs. This is a no cost service which in turn also gives you the chance to meet us as well as for you to know who will be dealing with your valuable possessions. Feel free to contact the below phone number to arrange for our estimator to visit your South London home. You have very little to lose besides 20 minutes of your time. Casey’s were amazing! They did in two days what would have taken us months! They pack up our entire home (with a lot of books and records) on day one and moved us the next. All of the team were careful with our property, incredibly helpful, trustworthy, and after running up and down what seemed like 1000 sets of stairs, probably even fitter now! I cannot recommend Casey’s enough. Thank you. Moving Home? Searching for “removals and storage near me”? We have over 14 years experience within the removals industry and have moved 1,000’s of our customers. Each one had their own specific needs and requirements, all supported by our moving services. Our team know that one of the most difficult components of moving home is that of packing of your possessions. We provide a full range of packing and unpacking services to match your unique needs and requirements. 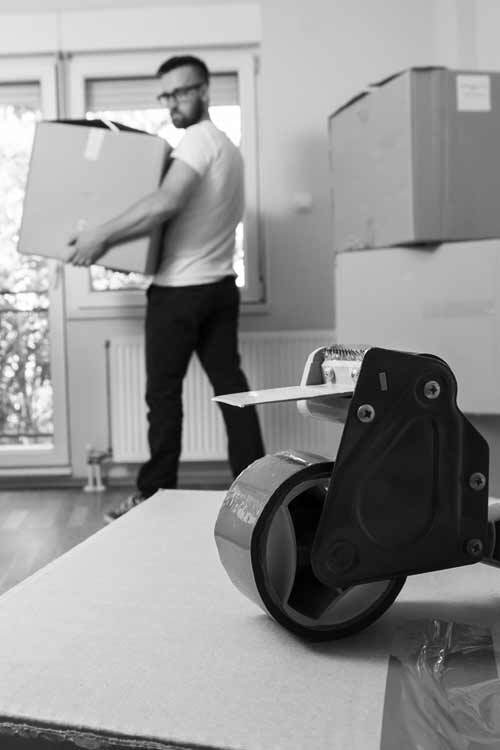 Our fully trained packers and movers are experts in specialist packing practices. All of our packing products are made from top quality materials and have been specially designed to protect your possessions during your move. If you want to save time and effort, then you should consider our Full Packing Service. We will pack everything in your home, taking special care of your more fragile items. Our team can at the same time arrange to unpack each of your personal belongings too if required. There are times when you may prefer to do some of the packing yourself, but are unsure about how to pack your more fragile and delicate possessions, such as glassware, ornaments, mirrors etc. This is where our Partial Packing Service comes in. Contact us for more information. Sometimes due to budget restrictions or other reasons, you may wish to to pack and unpack everything yourself. We can help you there too. We will supply you with everything you need, all the moving boxes and packing material that you require. All delivered to your home. Contact us for more information about our Self Packing Service. Short and long-term storage may be need for a number of reasons. Short-term storage is usually intended for storing something briefly, such as during a house or flat move. Long-term storage can is good for storing such items you can’t seem to part with or just don’t have capacity for at this moment in time. Short-term storage is most suitable for items you basically really need to keep for a matter of months. Doing this can certainly be beneficial with regards to customers that are moving to a new house or flat and may have a time frame between moving from the old property to the new where they require to live in rented property for a short period of time. Another reason is that you have decided to decorate or remodel before moving in, so it would be easier not to have your possessions at home. 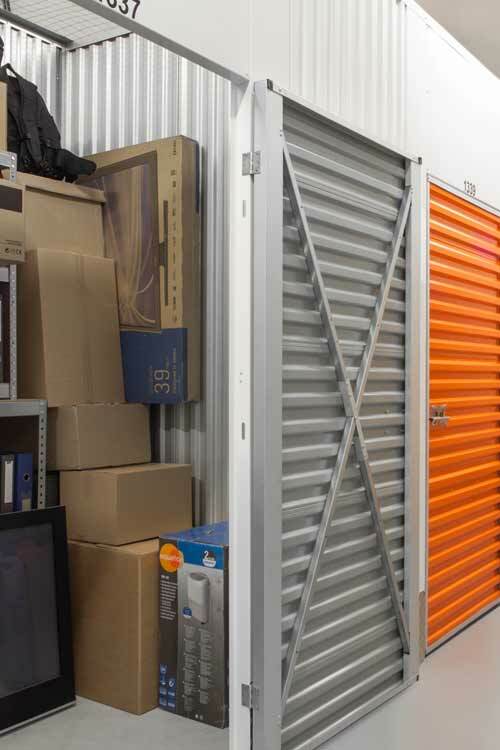 Long-term storage benefits many people who are relocating overseas for a longer period of time. Alternatively, you may be downsizing to a smaller property and will not have the space, so putting that extra furniture in long-term storage is a great solution. If you are looking out for piano removal services or possibly piano storage facilities in South London, Casey’s Removals are able to help you. We provide you with a completely insured piano removal service all across London, Surrey and Kent, coupled with many years of expertise inside the removals market. Relocating a piano is no easy undertaking – as a matter of fact it is far more difficult than a standard house or flat move. This is the reason why piano moves really should always be left in the hands of the specialists and this is where Casey’s Removals can help. 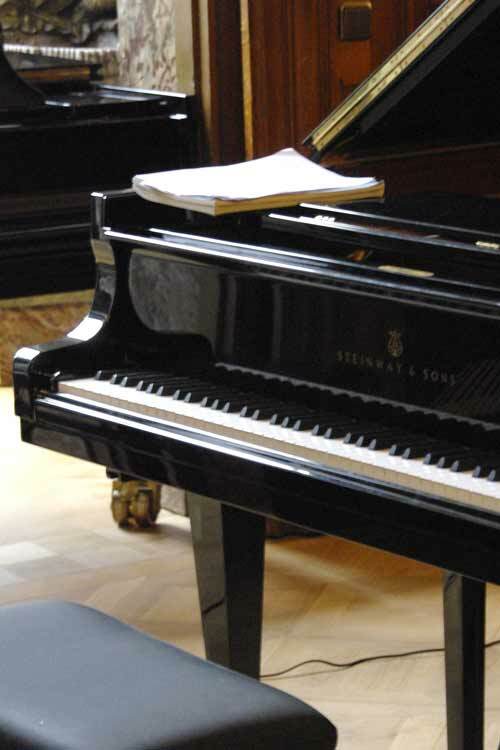 We offer a well insured professional service so as to bring you with total peace of mind when it comes to your piano. It is only natural that you might feel concerned when having your beloved piano moved. You can rest assured that it be will be in safe hands with Casey’s Removals. We will take the utmost care and will supply you with a thoroughly reliable and efficient piano removal service. You might simply be struggling to find additional space in your home, or even you might possibly be in the process of moving house or flat and need to store your piano until you have moved into your brand new home. Regardless of what the reason you may have to store your piano, we have the solution. Need to move large & heavy furniture to the 2nd floor or higher but have narrow stairs? Our furniture hoist service is the quick and safe answer! Apart from the professional moving services you might generally associate with a house removal firm, we also offer a furniture platform hoist rental service. This may be hired together with an existing service or as a standalone service. Learn more here. Considering that houses and flats have become more smaller, it is becoming increasing challenging to get that brand new sofa/American Fridge Freezer/display cabinet etc through the door or even up the stairs. Our Furniture Hoist solves these challenges in a rapid and reliable manner. It is able to lift a maximum load of 400kg up to 24m. 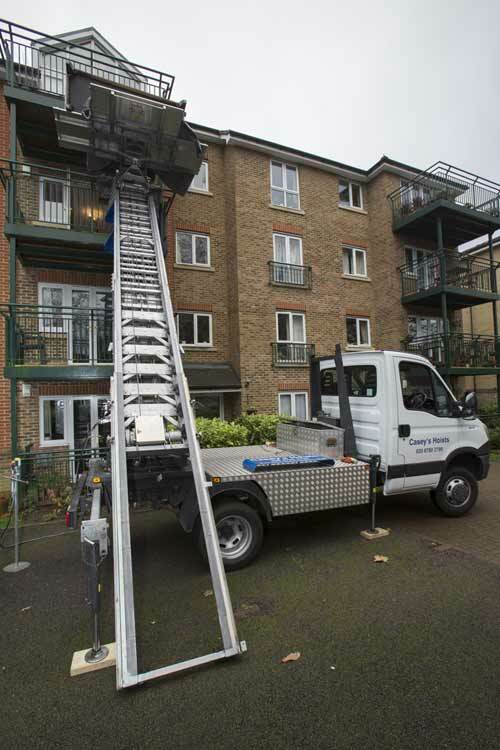 We not only use it for residential removals but frequently help out businesses, such as the construction industry, and landscape gardeners (when the are creating roof terraces). We are able to also provide associated professional services including added labour together with window removing. • The furniture hoist features an experienced operator and comes with a LOLER certificate to guarantee safety. Are you emigrating? For instance UK to France, Spain, USA or Australia? Struggling to find reliable & experienced nearby worldwide movers? No matter what your reasons for heading abroad, whether you’re moving overseas or just touring the world, Casey’s Removals aims to make your overseas move as smooth and stress-free as possible by utilizing our services for shipping overseas from the UK. We are one of the best specialist overseas moving firms with regards to overseas relocations and shipping overseas in the South London area. Casey’s Removals has moved and relocated lots of households and individuals from the UK to the majority of countries throughout the world. We are South London’s top rated worldwide removals company, moreover our aim is your complete satisfaction. One of your primary issues when you are deciding upon an intercontinental moving firm in order to move you to another country is that of attention to detail, reliability and movers and packers that look after your every single need. WE DO THAT! Our experience results from relocating both domestic and business moves. 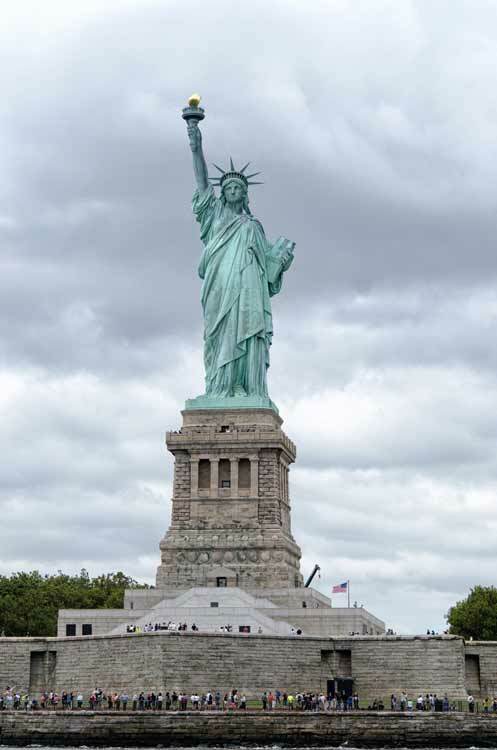 Regardless of whether you’re moving from the UK to Australia, moving to the U.S., moving to Canada, moving to New Zealand, Africa, the Far East, Middle East or relocating to any destination around the world, our team of highly trained packers and movers offer the experience and ability to make sure you overseas move goes as stress and hassle free as possible. Contact our team now for a FREE no obligation price quote your international relocation. • Along with our extensive house removals service, we also offer a complete international removal service together with professional advice on packing, shipping and storage as needed. • Operating a line of modern vehicles, all teamed by well-trained home movers. • With more than 14 years of practical experience within the moving and removals sector, we are a family run removal and house moving business within the Kent and London region and are proud of our reputation for highly affordable prices, a wide variety of services, professional approach and dedication to constantly reach the high criteria we set ourselves. Searching For a Reliable South London Moving Firm? Whenever you’re looking to hire a professional and trusted removals company in South London, why not contact one of our friendly members of staff for a FREE moving quote? We’re on-hand to help from 8am to 9pm, 7 days-a-week. Want to discover more about South London removals? If so, click here.